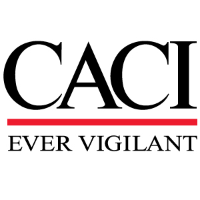 CACI Enterprise IT Operations has an opportunity for a Data Center Services Specialist to support a large and complex IT operations program. As a Data Center Services Specialist, you will be responsible for resolving IT hardware and software infrastructure (servers, network, security, etc.) issues using systems analysis techniques and procedures in support of data centers in Texas. Able to perform high volume/low impact tasks in an efficient and knowledgeable manner. Provide break/fix support including component replacement, hardware troubleshooting, operating system installation. Able to proficiently perform data center support tasks with little guidance. Demonstrate hands-on practical knowledge of systems and policies. Part of a 24x7 coverage team; shifts will include day, mid, and night shifts. Bachelor’s Degree in Computer Science, IT Systems, or a related discipline and 5 years + of experience related in the IT field or equivalent work/education experience. Experience with ticketing tools like Jira, Remedy, SM9, and ServiceNow and understand the overall ticket management process. Two years’ experience supporting IT equipment or related technology. Experience with Windows systems and MS Office. Must be willing to obtain Microsoft Server+, Microsoft Network+, and HP APS certifications. Must obtain baseline OEM certifications for server support within 60 days.